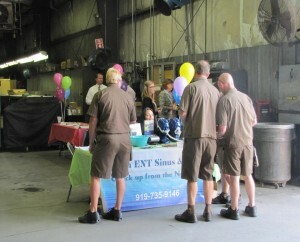 UPS puts tremendous value on the health and safety of its employees and their annual health fair is an integral part of this wellness initiative. The event for UPS Atlanta Airport will be held outside on Friday, May 10th in two shifts to include drivers and managers. You’ll also have the opportunity to return from 9-11pm to accommodate additional midnight shift employees but this is optional. At the very least, management would ask you to bring extra literature to leave out for this group. If you feel your services are the right fit for these employees, then USP invites you to submit your request to participate in their event!